Unfortunately, I am at work today...and Yes, I hate all of you lucky brats that got today off! Saturday Morning: Mom and I got our hair done and my dad offered to pay as part of the "Wedding Budget"
Saturday Evening: My Halloween Costume for Saturday...If you've never been to Fenway Park, you probably would have no clue who I was...but here in Boston, the Fenway Park Vendors are icons! Sunday: I went to my cousins to celebrate my Aunt and Uncle's 40th Wedding Anniversary! Your costume is awesome. Love the hair! Looks like a fun weekend! That Honey Boo Boo costume is hilarious!! Haha. Anyway I wanted to let you know that I nominated you for the liebster award! :-) Go check out my latest post! 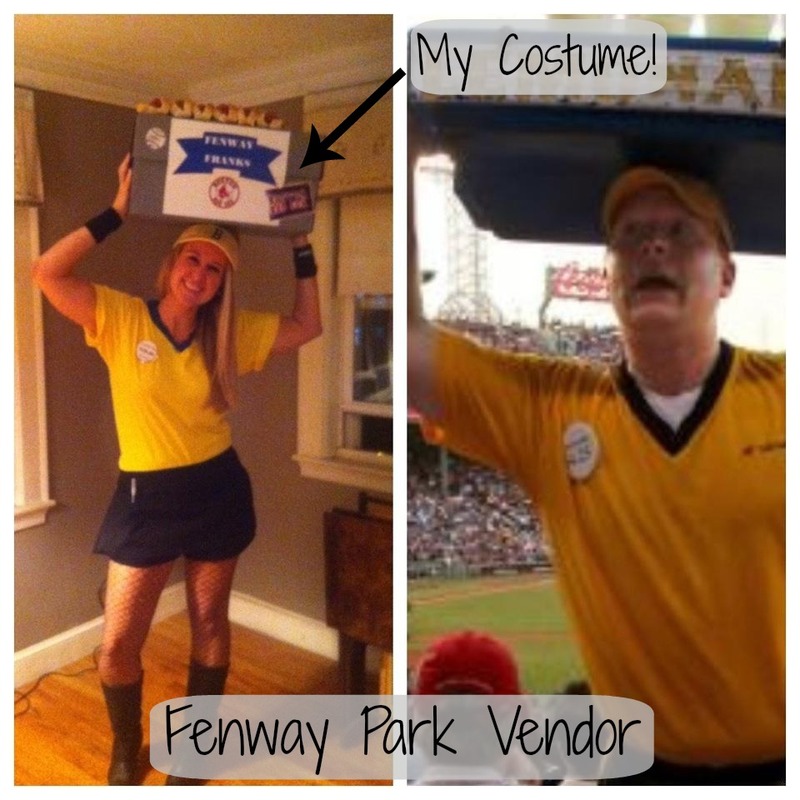 Also, I cant say I've ever seen a baseball park vendor look like that. Wowza. Love the costume, haha. Were those real hot dogs? If so, I bet you were a big hit at the party. Looks like a great weekend! Congrats to your aunt and uncle for 40 years--that's awesome! Visiting from the link up. I LOVE the pictures. How many amazing costumes! You were so creative too! Seems like you had a great weekend!